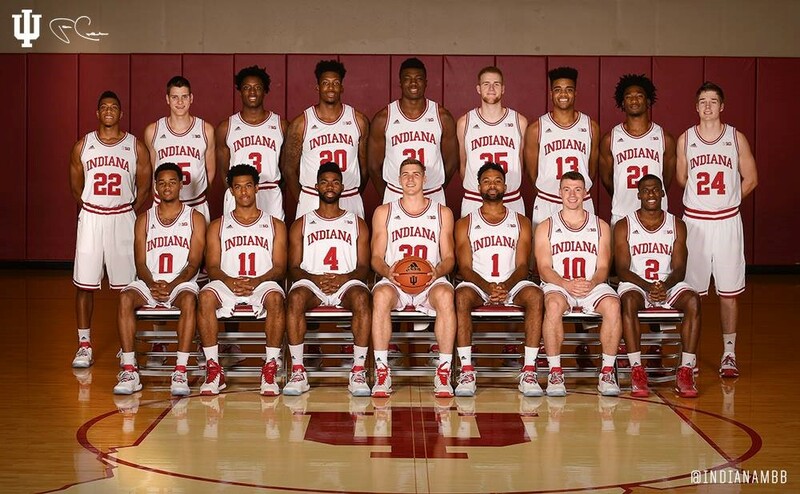 Basketball season at IU, like the holiday season, is one of the most anticipated times of the year. 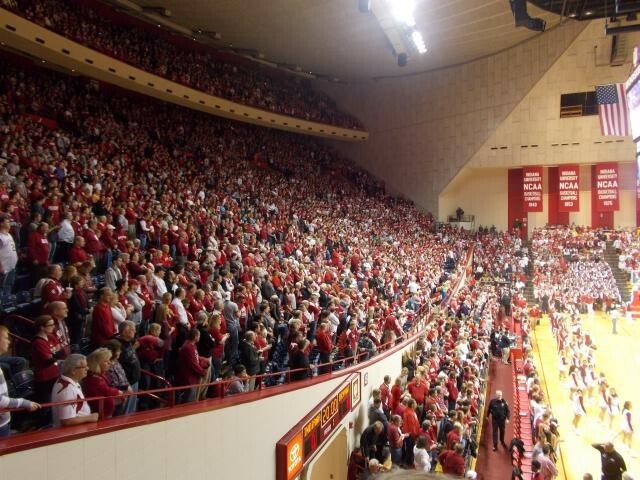 During the next few months, Assembly Hall will be filled with great basketball and plenty of Hoosier spirit. 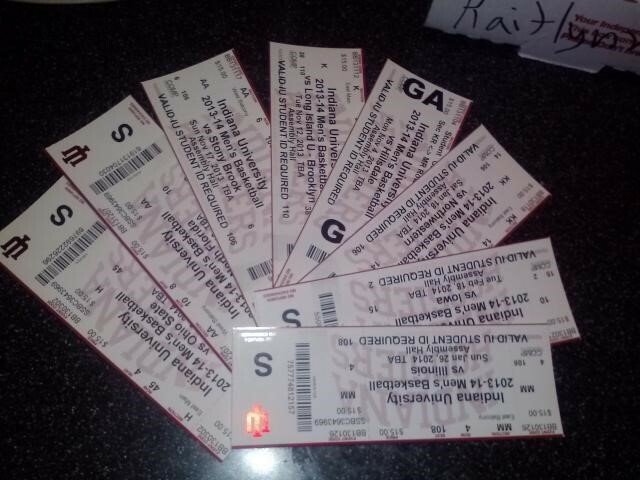 Since basketball is such a big deal here, getting tickets can sometimes be a challenge. Most students buy their season tickets in the spring when they register for fall classes, which I highly recommend. (If you’re a new Hoosier next year, you can buy your tickets at orientation or call the ticket office ahead of time like I did). Season tickets include both football and basketball. For basketball tickets, you have the ability to group your tickets with up to eight people and ensure that you’ll always sit with them. Although we have the largest basketball student section in the country at 7,800 student seats, the athletic department sold almost double that number this past year in order to ensure that more students attend games. This means everyone who bought season tickets this year only received tickets to 8 of the 16 home games. Which games you and your group receive and your seats are based on a loyalty point system. 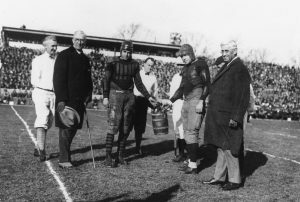 Because the number of games in your ticket package is limited, chances are you really want to attend a game (Michigan) but you don’t have a ticket for it (Michigan). Or the opposite can occur – maybe you looked at your assigned games and noticed that one of the upcoming non-conference games is on a weeknight before a big exam. Or maybe you’d like to buy a ticket for your friend visiting from another school one weekend, but can’t seem to find somewhere to purchase one. Sometimes, buying and selling tickets to other students on campus can be difficult. I remember last year when I couldn’t go to one game, I paced around my floor several times asking my friends over and over again if people needed tickets. I then turned to social media, specifically Facebook, only to get no response. I ultimately sold the ticket, but not after stressing myself out a bit. I also remember watching students advertise their tickets over and over again on social media. It was annoying for me to get all those notifications, and probably annoying for the students who had to keep advertising their tickets without a response. Word of mouth, social media and sites like Craigslist, StubHub and OneStart classifieds certainly work, but they may not be the safest and cheapest options for buying and selling your tickets. 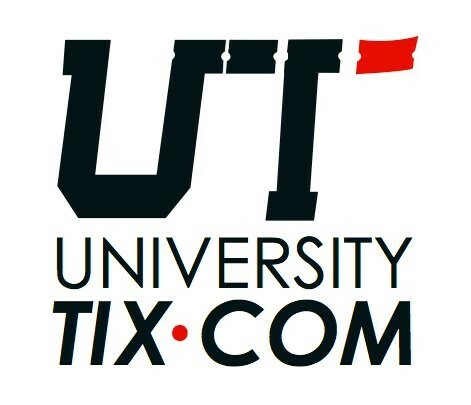 Another ticket exchange site, UniversityTix.com, launched its new website on Oct. 22. Hello Hoosiers! My name is Alyssa Schor and I'm a journalism major specializing in public relations with a minor in psychology. I've previously written for the Indiana Daily Student and this fall will serve as editor-in-chief of The Odyssey, a publication geared for students in Greek life. It's the perfect cross between my passion for Greek life, my skills in journalism and my career goals in PR. I'm a member of the PR committee for IU Dance Marathon and have also helped out the Public Relations Student Society of America (PRSSA) with their annual Greek media training event. I like chocolate and food in general a lot, and you'll occasionally find me at Hillel eating their delicious challah and matzah ball soup (or whatever else they're serving that day). This is now my third year (what?!) 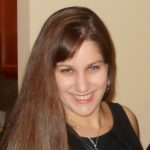 blogging for WeAreIU.com, and I keep doing it because I'm so excited to share my stories with you and serve as a great resource for current and future IU students. If there is anything you want me to write about, let me know!